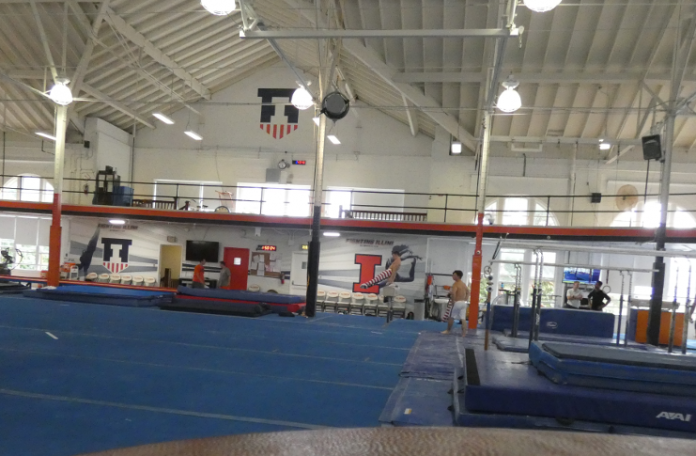 It came down to the last event, the Illinois men’s gymnastics team had been leading the competition with one more challenge ahead of them. Keep the lead by staying on pommel horse in order to prevent Michigan from staging a comeback. Michigan finished up on vault, one of their strongest events of the evening. You can never count out Michigan when you have solid all-arounders like US national team member Cameron Bock and Emyre Cole on your team. 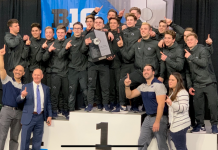 Illinois had other plans, Michael Paradise and Ian Skirkey hit clutch routines to close out the meet for their fifth consecutive Windy City Invite title with a one point win over runner up Michigan. Paradise scored a 14.2, the highest pommel horse score of the night. This was a team win, Clay Mason Stephens captured event titles on Floor (14.550) and Vault (14.500). Alex Diab won the rings with a 14.750. The Sooners are once again looking dominate early into the 2019 season. 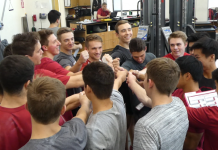 We are just finished up with week 3 and for the second consecutive week the Oklahoma men’s gymnastics team posting the highest team score in the nation at home against Air Force and Arizona State. Even more impressive is all this is being accomplished with last year’s all-around champion only competing on one event. Last week, Matt Wenske was the star placing second at in the all-around at the Rocky Mountain Open. On Saturday night, it was senior Genki Suzuki, who scored 83 points, most points by a gymnast for week 3. But the real story is here, is Oklahoma’s depth. They are loaded with talent on every event and they are getting contributions from everyone on the team. Once Moldauer is back in the full lineup, it will be hard to imagine them losing a competition this year.